Rain early...then remaining cloudy with showers overnight. Low 48F. Winds light and variable. Chance of rain 90%.. Rain early...then remaining cloudy with showers overnight. Low 48F. Winds light and variable. Chance of rain 90%. If you’re seeking long-term employment with great benefits, we have what you need! Interested in this great opportunity? Apply online anytime at WWW.MIDOHIOJOBS.NET and select Mansfield as your office of interest or call our office at 419-747-7479 for more information! 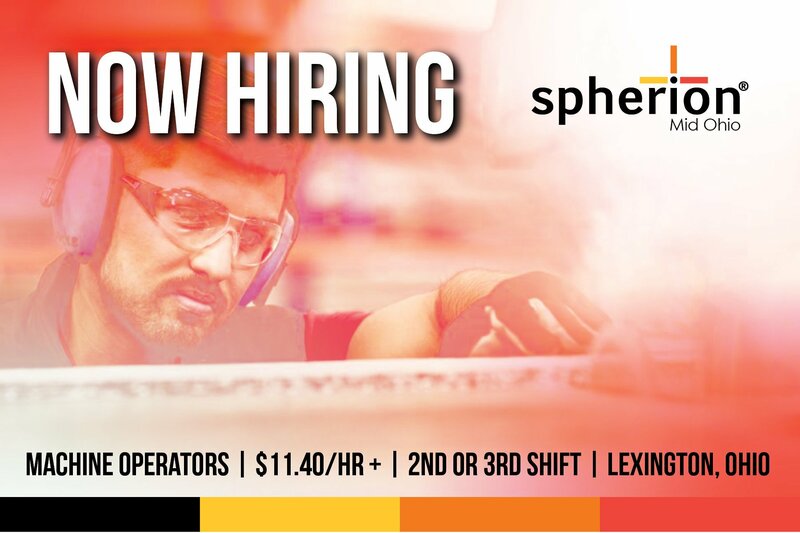 Manufacturing General Labor and Machinists Wanted at Pentair!